I checked all .NYC priority domains to find what domains were registered and if these domains were any good. What I found might be surprising to some. Most domains are bad. Really bad. No thinking was applied to most registrations. But I guess the same applies to all domain registrations and not just .nyc. .NYC had 6,398 domains in the zone files and most of these were priority domains bought in the NYC landrush for an extra fee (about $70). This 6,398 number included some domains that the registry has registered for its own use, some pioneers domains and of course sunrise domains registered by trademark holders. .NYC launched yesterday and the 1st day results were not as good as expected. 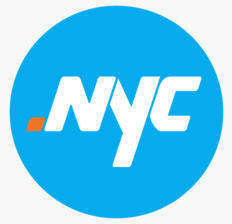 .NYC added 20,455 domains after its general availability launch. 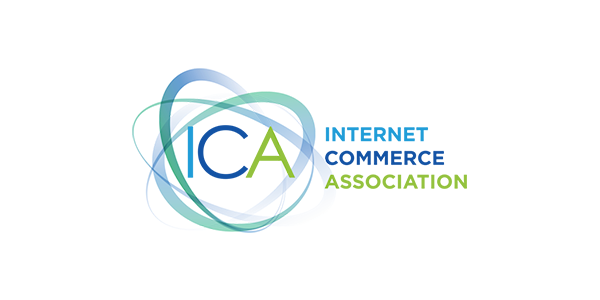 So it now has a total of 26,853 registered domain names. I guess the Nexus policy hurt the .nyc registration numbers. 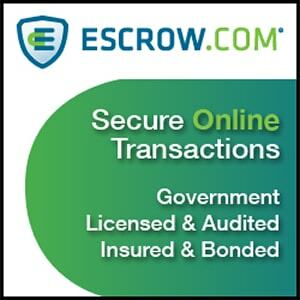 6,398 domains including sunrise, founder’s program, registry domains and landrush domains with 1 application. This 6,398 number does not include any of the domains that are to be auctioned in a few weeks. That is domains with duplicate registration requests. Let’s start with the worst domains I could find. Domain gems such as drunkdrivingaccidentattorney.nyc and 212-s-t-o-r-a-g-e.nyc. 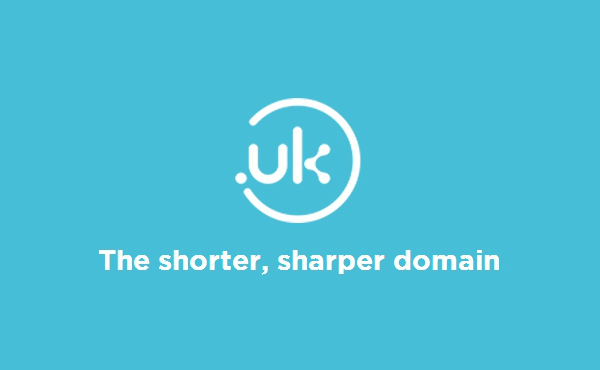 To be fair probably the best domains are reserved by the .nyc registry and the best of the rest had more than 1 applications so they are being auctioned between October 23 and November 6. But that is no excuse to register whatever domain you can find. And they paid the priority fee to get such gems as those above. This clearly shows that most people don’t know how domains work and what is their purpose. Most domains are like the ones above. Maybe not that bad but probably 40% are garbage, 50% are bearable and 10% are good. I found a lot of 3 and even 4 word domains. From this number you clearly see that there a lot of options when it comes to NYC domains available. I didn’t even checked domains ending with “ny” or starting with “nyc” or “newyork” etc. From this number I can see that people don’t really know what they are doing. They are registering whatever. Absolutely no logic applied to these registrations. And reg fee is $70 on the .nyc. What a waste of money, the funny thing is those will be the one’s that sell..lol. I gave up trying to find the logic in domaining, just when you think you have learned something, you find out you really learned nothing at all. I have to pick on you, but in the case of 101springstreet.com and 101springstreet.nyc, the latter is more valuable. The nyc one gives you an exact geographic location, while the former one is meaningless. Also domain.nyc and domainnyc.com is not always clear cut. For example name.nyc is better than namenyc.com ( especially if you use it for an e-mail address ). Finally, the reason there are so many *nyc.com available is because NYC abbreviation is not very meaningful outside of New York ( e.g., there are likely more *nyc.com available than *newyork.com ). With short meaningful ( to New Yorkers ) extension, generic.nyc is appealing and from what I see real people/businesses pick it up ( allergy.nyc, tango.nyc, and so on ). It does not change the fact that there are a lot of bad domains picked as you pointed out. I thought about this as I was putting 101springstreet.com in the list. The thing is that you are already in New York. You know what your are looking for. What is more valuable? 5thavenue.com or 5thavenue.nyc? *nyc.com and *.nyc have the same target group. New Yorkers. Not sure why NYC has to be meaningful to people outside of New York. “e.g., there are likely more *nyc.com available than *newyork.com” I believe the opposite is true. People outside New York use NewYork*.com and not *NewYork.com. The problem with New York is that there are a lot of options. nyc*.com, *nyc.com, *.nyc, ny*.com, *ny.com, *newyork.com, *newyorkcity.com etc. And with all the good generic domains reserved I don’t see much value for domain investors here. Small businesses will not spend big money on a domain especially with all these various options. 1: it represents New York City. 2: The letters nyc have prestige. These 3 letters are the mos recognized, most popular acronym for a city. I don’t understand what you are replying to. I ran the same test for the 6398 domains, this time for *newyork.com. I found that 5398 (84.4%) domains are free. So *nyc.com is more popular. nice to have access to data. 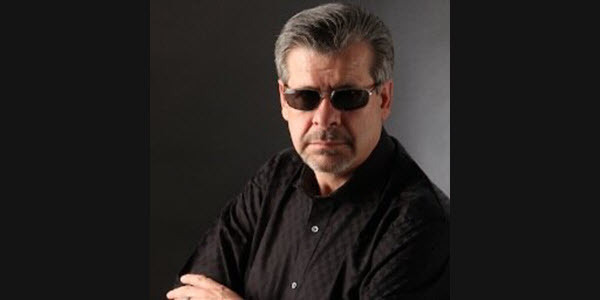 I agree with you about appeal to domain investors – limited. But just like other folks here mention – it’s a good domain for locals – 3 letters, reasonably priced. I mean compare it to .London fiasco… I tried for lend.nyc & refinance.nyc – both went into auction based on priority registration – ended up with a couple of e-mail-use domains. As a New Yorker, I got a chuckle by your “Worst” domain, 212-s-t-o-r-a-g-e.NYC. They have huge billboards with all kinds of crazy slogans and their main phone number 212-Storage on them (they also have 800-Storage). I’ve seen them write it out like that, but most of the time they don’t use the dashes. I just checked, they used the dashes on their main web site ManhattanMiniStorage.Com. I can only assume they missed out on 212Storage.NYC and felt that it was “Just as good”. Personally, I think ManhattanMiniStorage.Com is long, but still better than 212Storage.NYC, because it’s their exact name and it’s already theirs. I tried for 5 different domains, two were priced out of my range. These are the ones I did get. There were domainers in it, but not that many. Which is good, a lot of local businesses are jumping on this full force. I got a bunch of good names, but a lot of creme de la creme heading to the auction. When you mean couldnt afford to bid, you mean that you didnt do pre registration? Since there were no auctions yet. Or were they just not available. To me both Coupon and Coupons seem like they will go to open auction, in a few month. Konstantinos, thanks for running numbers. I actually did get one ny domain, but it actually worth the money. For most part ny new york is redundant, but most new yorkers don’t know much about domains, so they are going with habit. Habit has been to have ny or new york in domain. That said, not all good generics were reserved. I got a hand full mostly in land rush that should have been reserved but werent for some reason. I will post a few of them after auction phase. I have more numbers coming up on Monday probably. I am counting how many domains each .nyc buyer got. Awesome, looking forward to it. This post was very enlightening. Exactly. I think GoDaddy had Priority Pre-Registration prices of $14,000 or so. As you know, even that number is only available for a short time, but I’m still uncertain there’s enough of a market to justify Priority Pre-Registration price. As for the regular pre-registration prices, even that wasn’t worth it because I knew that would just throw me into an auction. I’m a believer in Blue Ocean Strategies. I stay away from crowded markets, that’s why I ended up in the coupon market in the first place. When I started, nobody even heard of the idea of putting coupons online. So, I paid a premium for one Priority Pre-Registration and one I got using regular Pre-Registration, although I promised myself that if I ended up in auction on that one, I’d let it go. It’s simply not worth it for me to pay anything more than the base prices. Let’s face it, New York City is a big market, but that doesn’t mean that domains with .NYC are even worth the $25 per year. Like all nTLDS, time will tell. My guess is even if the nTLDs take off, any TLD that has restricted Nexus requirements is still a gamble. I have a feeling nexus acquirement will be lifted, in a year or two. When somebody makes 40% on sale (aka city goverment) they will want more of that. It will take few huge .nyc sales, to change it up. Even with nexus, certain industry are ripe for cashing in. The biggest teller to me, will be 1) brands who want to target nyc and 2) SEO on google. If google makes .nyc seo friendly for new york area, and there is almost no reason why it shouldn’t. There will a huge demand. That said, i been pretty passive on domains over last 5 years, this is my show now, and i am planing to see it to the end. What ever the end will be i am ready for it. If it flames out ,so be it. I will be out of some chunk of change, but if it burns bright, i will be in the center of it. I don’t think this is going to happen. They haven’t yet lifted the .us NExus requirements and it is already 12 years. They have talked about it but still nothing. I think having a Nexus within a country makes sense, because search engines are more likely to give country specific results to somebody searching within that country. With a Nexus within a city, it’s far less relevant. Case in point, the GoDaddy ads that mock New Jersey. A very large population from New Jersey work or shop in New York and vice versa. I’m from New York, but believe it or not, 95% of the things I buy and stores I shop in are in New Jersey. The lines get even more blurred when we see what actual sites are built on .NYC. My guess is most of those sites will not want their traffic to be mainly from New Yorkers. As such, it’s value for targeted search is negated. I am not convinced about Nexus. .US is using it for 12 years now and I don’t think it helped. I can’t think of one popular .US site. As far as I’m concerned, it’s pointless. We all agree that country specific TLDs have always been useful for consumers and search engines to know something is targeted at their country. The thing that’s hard to understand is putting a restriction on who can own them. I have a friend who runs a popular .co.uk site, but he can’t buy the .UK version. So, unless he pays a company for a proxy address, he will eventually have a competitor using the domain he is not allowed to own. Introducing a Nexus policy years into a TLD is even more stupid that I could have ever imagined. Agreed. I can’t see any reason to INTRODUCE a Nexus Policy to an existing TLD, but I think lifting it down the road can be justified because they can claim the original restriction was to allow “Insiders” first access. I dont think NYC know what they are doing. I think they super happy they got a new revenue from tax, but then once registration drop off and after premium auctions they might realize they want more domains to be used. I think .Berlin was a good example of desperate decision, with giving in out .berlin for free. It was bad decision on their part, because 2 largest companies pretty much got and parked most domains, but i think it at least in part shows irrational decision of registrars when ran by city. Lets keep in mind that the city has main and final say on all decision, so .us was maybe ran by Neustar, this is not at all the case about nyc. Since they are just execute now what ever city tells them to do. .US is managed by Neustar. But it is a ccTLD and policy decisions come from the US government. I remember reading that Neustar was in favor of lifting the Nexus but I can’t find the link now. So it is very similar to .nyc. Sorry, but I didn’t have any time to write the post today. I will honestly try for tomorrow. I feel that .nyc is not really hit by domainers much, i still do some checks on names as i brain storm or watch domain sherpa, or something and i keep getting really good names. (which i will give example of after the auction in couple of weeks) but i assure that they are really solid names: big audience reach , high ppc , high traffic , and ultra generic. And i find and get enough of them available, that i am starting to worry if i grabbing too much and why are they not regged yet. In large part it has to be registrar nexus reason. Since .nyc regs still going strong, but still, availability of some names just shocks me. Any advice? Do i still continue to reg or do i just sit on my hands for a while? To be clear i am still under 100 names, so i am not going too crazy, but every time i look i find few names that seem really good. There are very few (old and new) domainers hitting .nyc and I can tell you that most of them don’t know what they are doing. There are a couple that have done a great job. If I can’t see the domains I really can’t tell you to stop or not. You are right that nexus has stopped a lot of people including myself. Available .NYC are pretty cheap so they are not a big gamble. I can email some of the names , just dont want to do much publications before main auctions. Totally agree with your summary, since its been almost a week since launch and i expected most strong generics to be picked clean. Ya, they not braking bank, i did get a bunch of preregistrations, that was pricy and now waiting for number of names in the auction, but overall compared to .london its super cheap. Heads up, .NYC is already around 42 k registration. About to overtake .email for #10 spot in tgld. Its adding on average about 700 domains a day, and not slowing down. compared to London 150 or so. I’m tapping out. I’ve got 3 and that’s 2 more than I planned on getting. I’m still wondering if the majority of them are going to people who are actually building a site where their intention is just a New York audience. I could see a big market for a lot of small businesses registering their name, but that’s it. 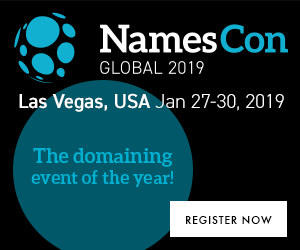 Since a lot of people want domains for sites that appeal to a national or worldwide audience, I can’t imagine many large scale sites using any local focused TLD. I actually think opposite. For a brand, having a local target with generic words , like cupcakes .nyc, could provide special deals to new yorkers. Associate themselves with generic term. Crumbs and many other big brands might pay big money for that. A lot of people in new york dont want to appeal to big audience: real estate, loans, car service, food, tourism. Infact if .nyc will be cool, it might get international awareness. Aka like people in UK wearing NYC branded hats. I dont know if that will happen, but local and tourism stuff will happen. I am not even talking about tourism, for one of the big names in that nitch, i actually just won an auction, lucky, i thought i got it for pretty cheap. Ok, last round of auctions is now over. Wheew, this one for me was more of a side show as all big ones in my book has passed, that said i got one word i didnt expect to get in last round, and thats puts a cherry on my auctions.